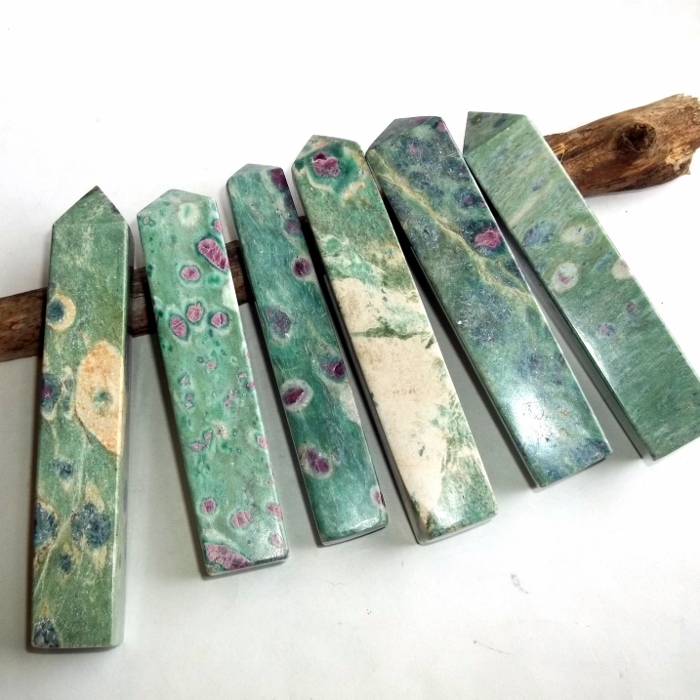 Ruby in Fuchsite gemstone tower. 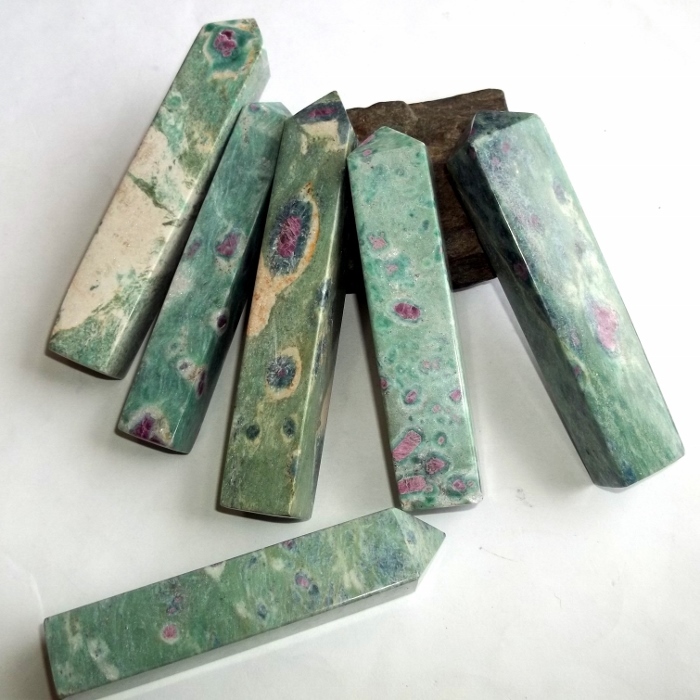 Fuchsite is a superb stone if you are an enabler and need to learn to say no to other people. It overcomes emotional codependency and emotional blackmail and reduces tension. 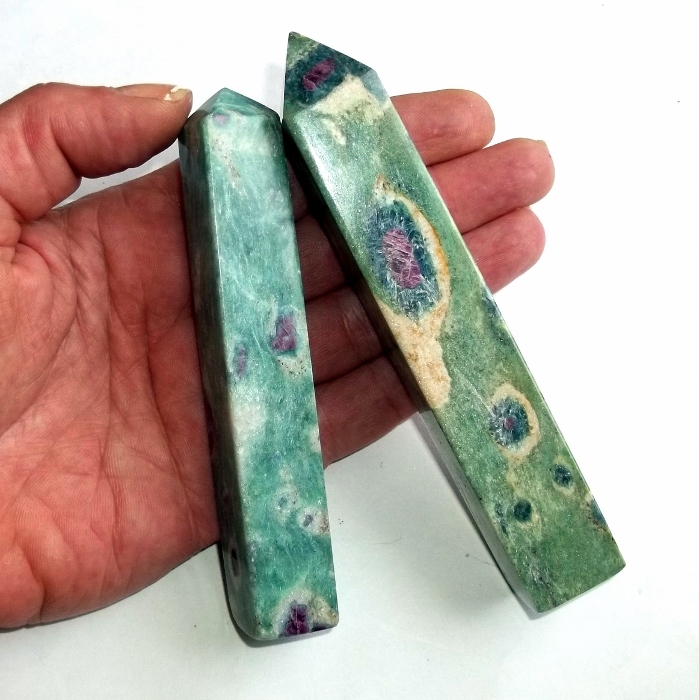 Physically, fuchsite is superb for the musculoskeletal system and spine and it can treat carpal tunnel syndrome. 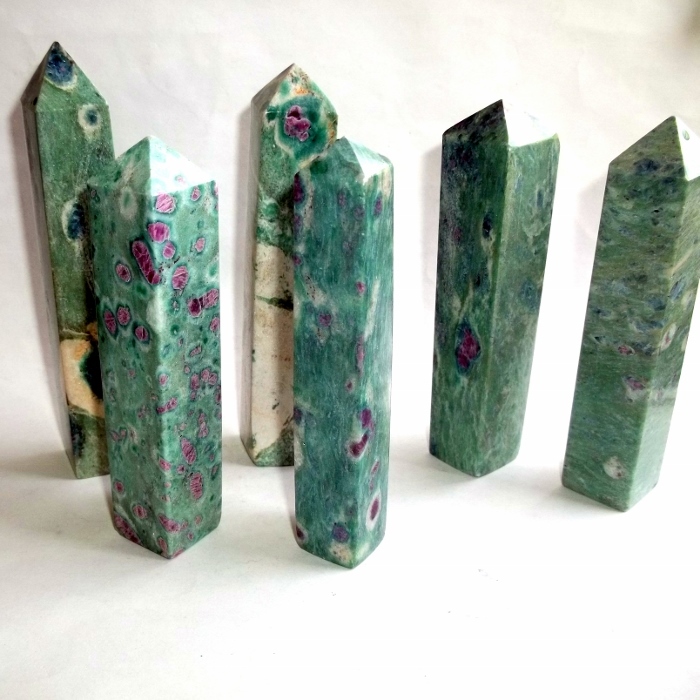 Ruby in Fuchsite stones range from 3 1/2 to 4 1/2 inches tall. Each has natural color variation.